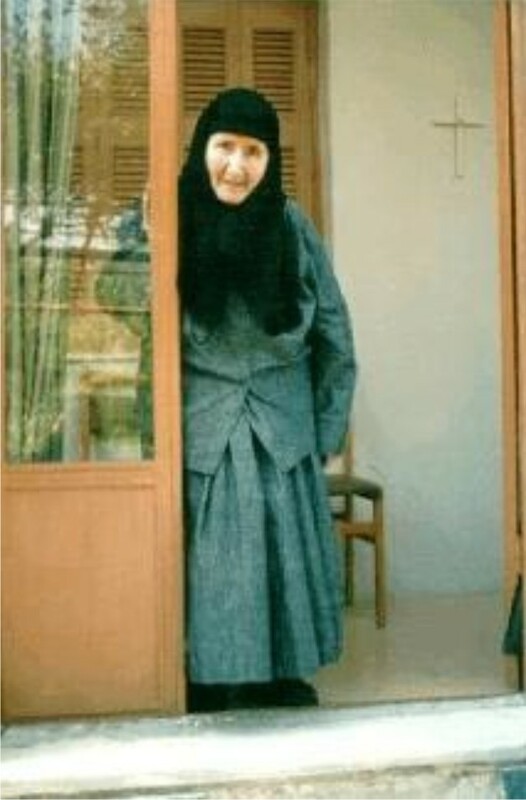 G. Meneopoulou: Mother, what could you tell us on fasting? Gerondissa Gavrilia: Fasting is one of our greatest weapons against the Evil One. I will repeat what Father Lazarus [Moore] told me once. In 1962, I went to the USA. I stayed there a long time and travelled to many states. The letters of Father Lazarus were a great help. He was my Spiritual Guide and I am most grateful to him for the valuable letters he wrote to me at times, wherever I went. He used to say: "Go anywhere you like, do whatever you like, as long as you observe Fasting." Because not a single arrow of the Evil One can reach you when you fast. Never. You mean Wednesdays and Fridays? Not only that; all Fast days and periods. What were you eating then? It was the Fast of the first two weeks in August [the Dormition Fast] and, there, they keep a good table with all sorts of delicacies. But for me, a tomato juice and some stewed fruit were more than enough - every day of the Fast. I was then witnessing God's many miracles! When they asked me for a Confession on the Orthodox Faith or for my experiences with the Lord, and I listened afterwards to what I had said on the tapes, I marveled as if the words had not been my own. I am deeply grateful to Father Lazarus, for this advice of his. Mother, as you have just said, by fasting we are safe from the arrows of the Evil One. Does this happen because the soul is left free for spiritual nourishment? To begin with, fasting makes you forget your body - the "What are we going to eat? What are we going to drink?" So, when you pay no attention to the body, you turn your attention to the spirit. And the spirit is blessed by God. It receives and accepts the Grace of God. Then you can lead a life according to Christ, as we all wish our life to be, as we all wish to live our life. Fasting helps in that. St. Basil the Great said that the basis for spiritual progress is the practice of temperance in everything. Our ancestors, too, had that famous saying: "A fat belly cannot breed a fine mind." This rule is for Monastics. What about people who live in the world? No, the rule is not only for Monks and Nuns. I was living in the world before, with my professional activities, my Physiotherapy practice, etc. Yes, but what if someone is married and has a family? As far as fasting is concerned, some solution may be found. What about continence though? What is the right measure? Temperance in food, fun and marital relations can be practiced. Provided both spouses agree that their way of living will not be totally "according to the world", but that they also will share a life according to God. I know many couples who have raised a family and lead a proper life. A young man or woman who loves God, should ask first: "Is the future wife or husband a true Christian?" What if he or she is not? A prayer is always answered, when it is about spiritual change and progress. From The Ascetic of Love, pp. 200-202.